The rebrand of Wataniya Mobile is part of Ooredoo Group’s strategy to evolve its business and create a foundation for new opportunities for customers across its footprint in the Middle East, North Africa and Southeast Asia. For customers in Palestine, the launch fresh new brand is set to support a wave of exciting new initiatives and connect them to Ooredoo’s global community. To celebrate the launch of the brand, Ooredoo Palestine has offered free 3G access to customers in West Bank and free calling minutes in Gaza. Since launching 3G services for customers in West Bank at the start of 2018 as part of its network modernization strategy, the company has in seen record-breaking demand for the service. 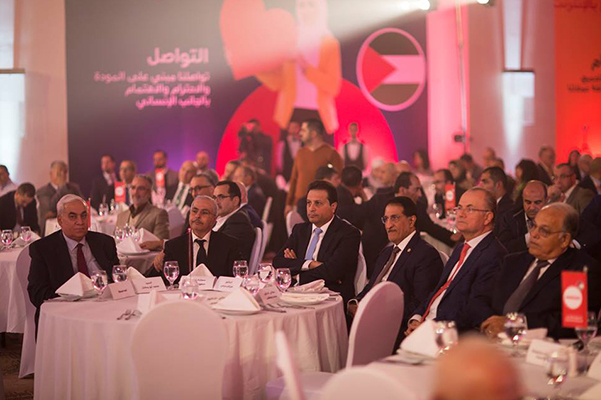 This week, a brand inauguration event was held in West Bank, Palestine, which was attended by government ministers, ambassadors, media professionals and senior executives from Ooredoo Palestine and Ooredoo Group. Prominent figures at the event included Dr. Mohammad Mustafa, representing the President Mahmoud Abbas; Dr. Allam Mousa, Palestine’s Minister of Telecoms and IT; Sheikh Abdulla Bin Mohammed Bin Saud Al Thani, Ooredoo Group’s Chairman; Sheikh Saud Bin Nasser Al Thani, Ooredoo Group’s Chief Executive Officer; Mohammad Abou Ramadan, Ooredoo Palestine’s Chairman; and Dr. Durgham Maraee, Ooredoo Palestine’s CEO. “We have always put our customers at the heart of our business and we’re committed more than ever to enrich their daily digital lives so they can take advantage of the life-changing opportunities that mobile technology offers. Today, we extend the Ooredoo brand to Palestine, welcoming Ooredoo Palestine to our global family and making the first step of a remarkable journey for us all,” he added. “Our customers in Palestine will be empowered to leverage our global resources and transform their digital lives. With our companies unified under one brand, we are a global force working to support our customers’ aspirations, helping them grow and fulfil their dreams, here in Palestine and around the world,” he added. 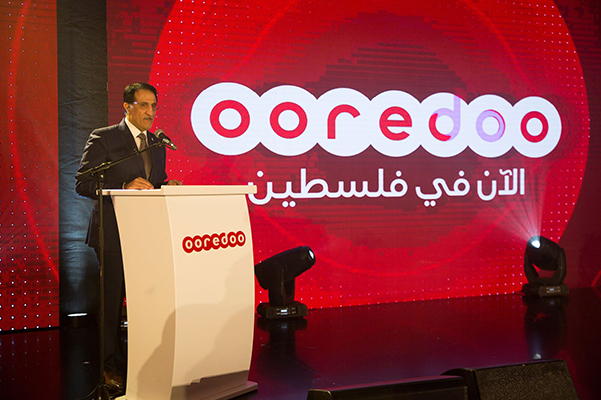 He concluded: “We’re proud and very happy to join Ooredoo Group’s global family. This will offer us many opportunities for growth and will enable us to take our customers’ experience to a whole new level and introduce innovative new product offerings." Ooredoo is committed to invest all efforts to become the leading integrated ICT provider in Palestine and provide a full range of customised services. Ooredoo Palestine will continue to implement its vision to enrich customers’ digital life and allow all members of the Palestinian community to enjoy high speed internet and high-quality voice services. 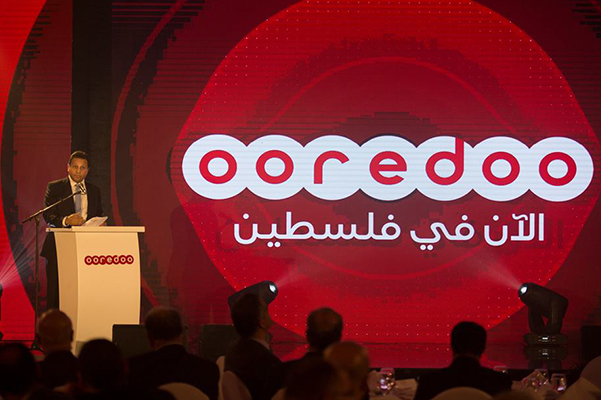 , Ooredoo Palestine had officially launched operations in Gaza in 2017, providing residents with an alternative option for advanced communications services directly through its shops and authorised dealers. And most recently, Ooredoo Palestine launched its 3G services in the West Bank to enable the Palestinian youth to enjoy the internet and help them achieve their dreams and aspirations through the services it’s providing. Launching the Ooredoo brand in Palestine will enhance competitiveness and contribute to the country’s economic growth, enabling young people to acquire knowledge, make decisions and be connected all the time, to realise their full potential through communications. The company is working with a number of business customers to provide a range of cutting-edge online services.